I can’t believe June is right around the corner. It’s one of my favorite times of year, when LGBTQ communities and their allies from around the world join together and celebrate the freedom to be themselves. 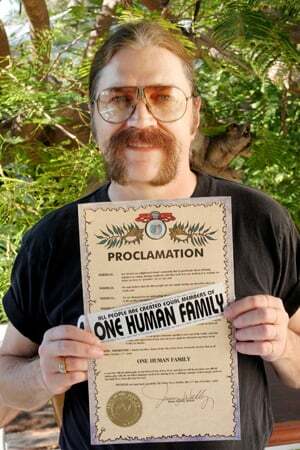 In Key West, we embrace our official motto, “One Human Family,” with its focus on unity and equality all year around. However, each year in early June our island really goes for the gusto, celebrating Gay Pride with extraordinarily fun and magical island-wide experiences. I have so many fond memories of time spent with friends (straight and gay) at the nearly 35 Pride celebrations I’ve attended. One year I was feeling so full of pride that I traveled to five different city events (my own personal gay-athlon of sorts). One of my lifelong friends Karen, a true jokester, would always ask me, “What are you guys (gays) so proud about all the time?” So in honor of Karen, here are a few answers to her question specifically tailored to my life here in Key West. 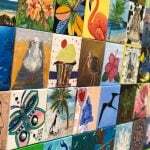 I’m proud of how our residents embrace and celebrate our island’s vibrant cultural diversity. And last but not least I’m proud of how much money Key West’s gay community and its allies raise for LGBTQ charities throughout the year. Many of our local LGBTQ organizations could not survive without their unending generosity. Speaking of pride, we have an incredible lineup of events planned for our 2019 Pride extravaganza. 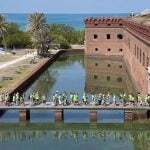 So please mark your calendars for June 5-9 and tell your boss you’ll be taking some time off to get your “inner pride on” in the enchanting Florida Keys. If you arrive a few days before Pride officially begins, catch the Key West Business Guild’s Pride Follies Saturday, June 1, at the Key West Theater. Doors open at 7 p.m. and the performance is scheduled at 8 p.m. Billed as a “fun evening of the best and worst of local Key West entertainment,” the show is a real gem and the perfect start to an entertaining week of Pride festivities. I couldn’t possibly list all our Pride activities in one blog, but the roster includes playful pool parties, fabulous drag competitions, pride-themed movie screenings, theatrical and vocal performances, block parties, wine and cocktail tastings, more pool parties, mischievous nightlife and one over-the-top Pride Parade. 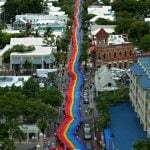 Also, the annual Stoli Key West Cocktail Classic will be held in conjunction with Pride again this year. The national mixology competition’s grand finale features regional winners from LGBTQ bars in 14 North American cities (I promise to provide more details in a future blog). 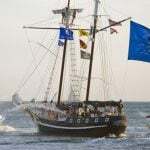 Key West Pride and the Stoli Cocktail Classic will hold a joint kick-off gala from 5-7 p.m. Wednesday, June 5, at the Island House Resort. The world-renowned male-only resort becomes all-welcome for two hours of free-flowing libations, scrumptious hors d’oeuvres and unrivaled revelry. And remember that parade I mentioned? It celebrates the close of our 2019 Pride festivities Sunday, June 9. 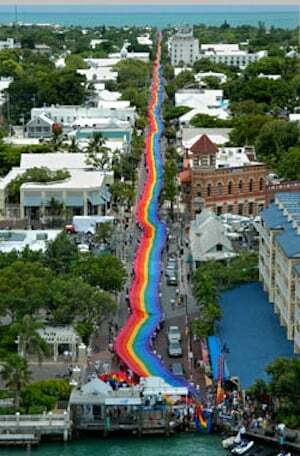 Starting at 5 p.m., the all-welcome procession will travel up Duval Street from the Gulf of Mexico to the Atlantic Ocean — and will feature a 100-foot section of Key West’s famed 1.25-mile-long sea-to-sea rainbow flag, created in 2003 by the late Gilbert Baker. It’s never been easier to fly into Key West with new nonstop service from Chicago, Newark, Philadelphia, and Dallas (some flights on Saturdays only). The new gateways add to our existing legacy hub cities of Atlanta, Charlotte, Fort Lauderdale, Tampa and Miami — so you’ll find plenty of options when booking your Pride travel. 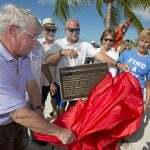 For a complete calendar of Key West’s Pride events, just click here.